With the success of the pony horse, 91, and visual signs of improvement in several horses who were brought to their farm for me to work on, Lisa nonchalantly suggested that she would like me to meet her at the training center (“the track”) to look at a few horses currently racing. I like to believe that she just got tired of trailering horse after horse from the track to the farm. Whatever the reason, Yippee! You’d think this would be an easy thing to do. Just show up at the training center, drive to the designated barn, and that’s it. Oh, no. Not the case at all. Just as Garrett Ford suggested in his blog, blog.easycareinc.com/blog/hoof-boot-news/the-horse-that-wasnt-allowed-to-race, the racing industry is FULL of red tape. 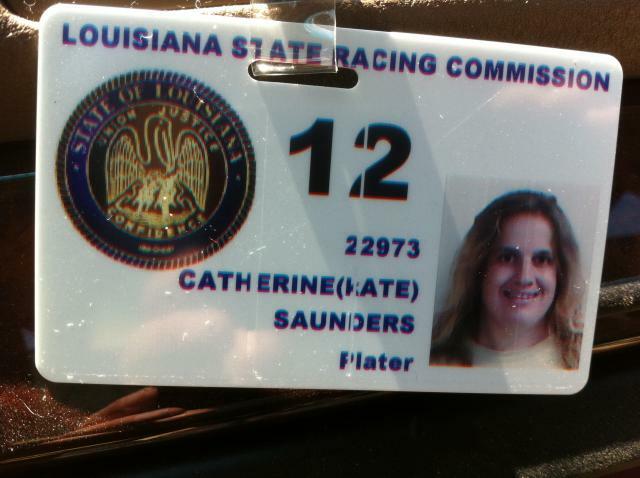 After about a week of running around from place to place, I finally acquired my “Plater’s” license (not an easy feat since I had no proof that I had any ability or intention to put racing plates on horse’s feet), and was allowed to enter the training center property. As if rewarded for a job well done, I was presented upon my arrival to the training center with my first project: Lil’ Rick’s Gal. 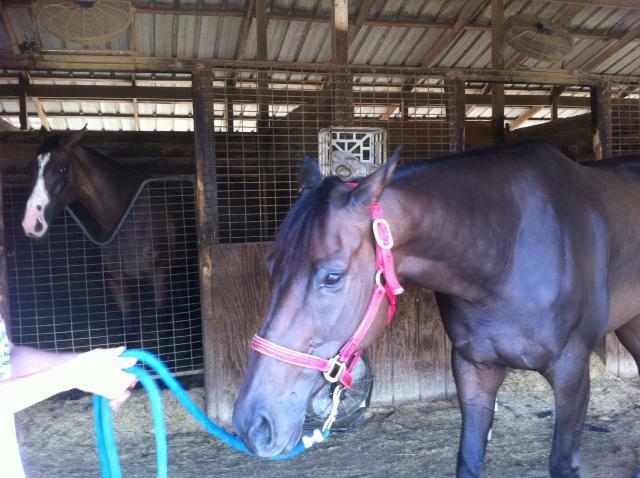 Ricky is a 5-year old mare who arrived at the training center with sore feet. For months, Lisa and Victor worked with the track farriers to find something that made Ricky more comfortable. Metal shoes did not help. Lisa and Victor knew that something different had to be done; this horse could barely walk, let alone hold a rider on her back. 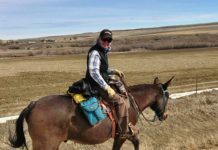 During the time that Lisa and Victor were struggling with Lil’ Rick at the track, I had one rehab race horse out of his boots and on the road to recovery at the farm. 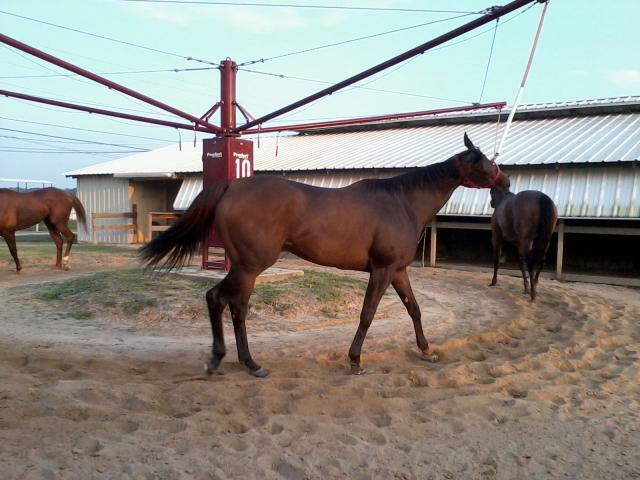 Lisa, feeling more confident in the natural hoof care technique, decided to do something that most likely had never been done in the entire state of Louisiana: She brought those boots to the track! For 60 days, 20 hours out of the day, Lil’ Rick stayed in her hoof boots. She was hand walked each day, several times a day, for gentle exercise until she was comfortable enough to go on the walker. By the time I was finally brought into the excitement, Lil’ Rick was not only walking on the walker, but had actually begun exercising on the track with her size 0 EasyBoot Epics! 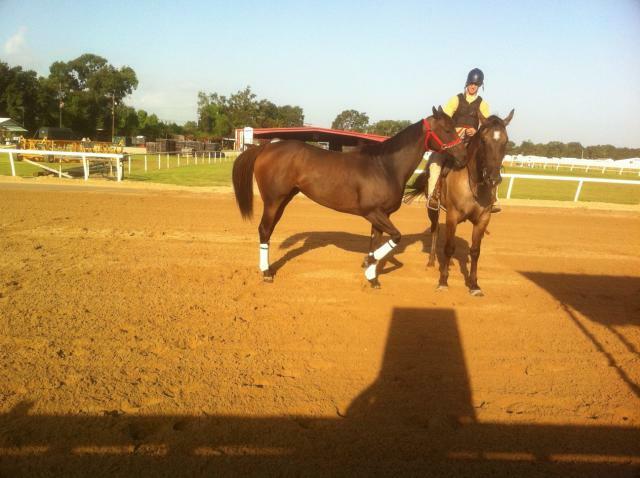 And so the EasyBoot Epic made its way into Lisa’s heart and onto a Louisiana training track. At first, the exercise riders were skeptical of these contraptions on her feet, and agreed only to pony Lil’ Rick in her boots. 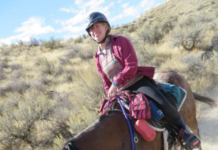 That is to say, the riders were afraid that the boots would come off at high speeds, and so they agreed at first only to ride a pony horse while leading Lil’ Rick on her exercise routine. They did not want to be on her back when those boots came off. And it is true, the boot did require some tweaking. With a little sports tape, the boots now stay on throughout her morning exercise routine. The downward buckles do pop up and so we may swap out the current buckles with up-buckles, instead. Today, Lil’ Rick can not only trot down the aisle barefoot, but she is currently running BAREFOOT (not even boots) with a rider on her morning exercise routines! With the background on Lil’ Rick set, we now come to the speed bump in the road that defines the racing industry. 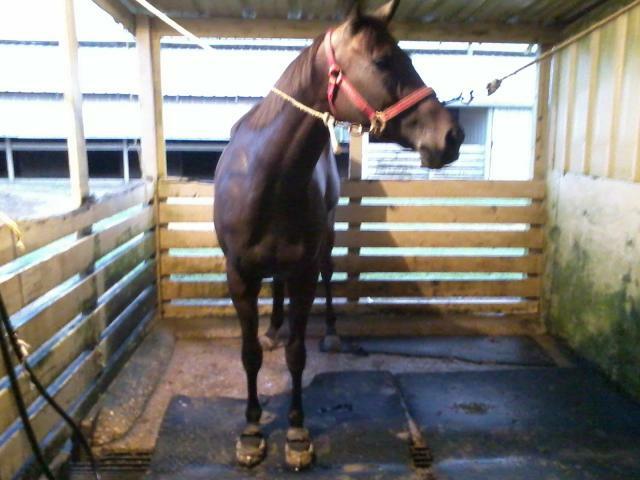 Ricky has run and WON one race since she began her rehab with the EasyBoot Epics. However, just before the race, the track farriers glued aluminum shoes on her fronts, and nailed aluminum racing plates on her back feet. 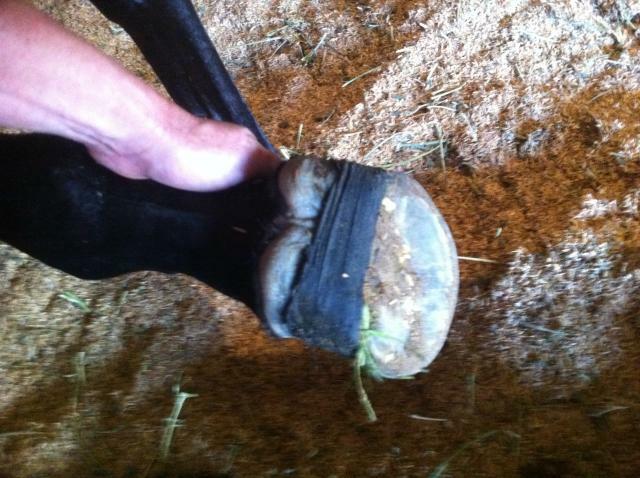 Lisa did make sure that those farriers took nothing off of her feet when applying the shoes. At the time of that race, Lisa did not know of any better options. Lisa and Victor are still concerned about traction and the need for something on a race horse’s foot as she leans into the curves and navigates around other horses. 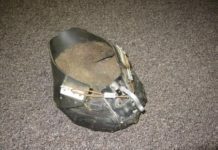 However, with Garret Ford’s Race boots that he has been working on, the Arceneaux barn (and their kooky natural hoof care trimmer) have hope that we may have a number of great options coming our way. In future posts, I will provide the nitty-gritty on attempting to fit EasyBoot Gloves and Glue-Ons onto Lil’ Rick’s tiny feet, provide feedback on exercising in these two products, and hopefully, make some headway with the racing secretary in approving an EasyBoot Race for official races!